This year’s survey report contains the expectations and opinions of more than 350 manufacturing executives who produce a wide variety of products including industrial/machining, transportation/automotive, construction, food and beverage, and other products. 81% of manufacturers expect revenue to increase in 2019. Optimism rates have increased by more than 12 percentage points over the last two years. 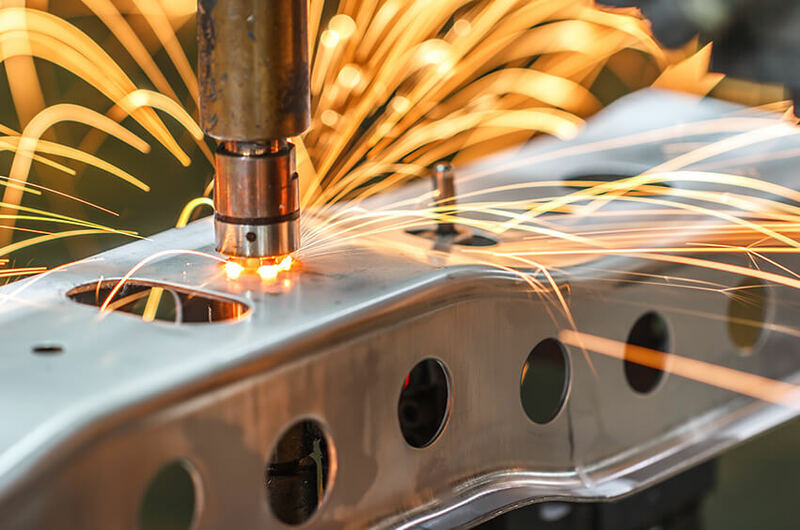 The top three priorities for manufacturers in 2019 include growing sales, improving profitability and addressing the workforce shortage. 52% of manufacturers cited labor/talent as their greatest barrier to growth, followed by competition (34%) and profitability (25%). 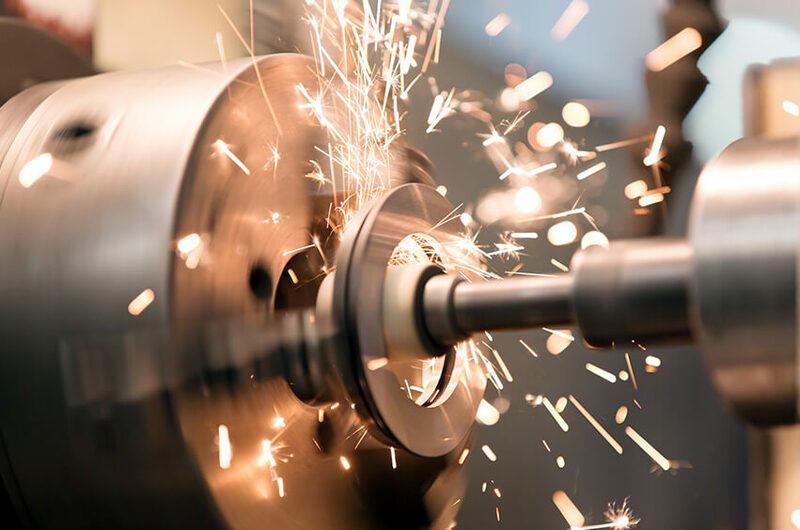 U.S. manufacturing industry headwinds are significant and include both internal and external issues, such as inventory turnover ratios, expense changes, labor shortages, growth strategies, the price of raw materials and strength of the dollar, and more. Strategic manufacturers should have ongoing conversations with all of their advisors, including their accounting and tax provider, as to how to overcome these challenges and achieve their business goals. Please click the button below to view the full 2019 Manufacturing Outlook survey results report. Jim Honz joined the firm in 1984 and currently serves as a Tax Shareholder. His areas of expertise include export tax incentives (IC-DISCs), choice of business entity, and methods of accounting (including Lifo Inventory). In addition, Jim works with tax-exempt organizations on tax and organizational issues. Could the job losses associated with increased use of robotics spur governments to implement “robot taxes”? Around 85 percent of all job losses in the manufacturing industry were directly tied to the implementation of robotics to increase efficiency and productivity and replace the humans doing that job currently. 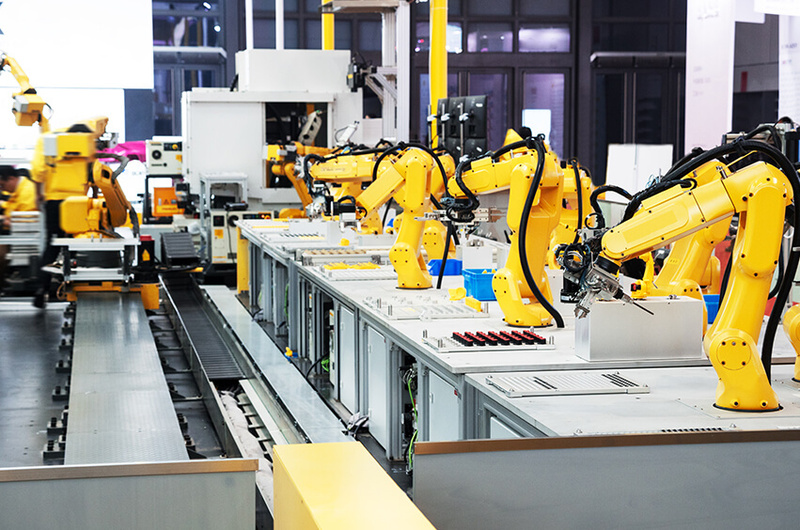 While the use of robots can lead to improved efficiency and earnings, there are questions as to how deeply robotics should be implemented within the manufacturing industry as a whole. For starters, should the entire workforce be automated? Should skilled laborers perform the more complex and specified tasks? These are some questions that haven’t yet been fully answered—and that makes the manufacturing industry’s future course uncertain. Robots are already being used to protect humans from the more dangerous and arduous tasks in the manufacturing industry. For example, mining operators are starting to have their workers remotely operate trucks to protect them from hazards inherent to that industry. The argument for and against the automation of manufacturing is one that has strong support from both sides. However, some – including Bill Gates – believe a “robot tax” currently being informally discussed in many corridors of business and politics could be the answer to robotic automation. The basic premise is that if a worker is replaced by a robot, the amount of income and Social Security tax would be assessed to the company replacing the human with the robot. The rationale is that the company would still be gaining a net profit from the replacement of the human worker while the government would still receive the lost taxes from replacing that worker. While the ultimate fate of a potential robot tax is yet to be determined here in the U.S., there are steps being made toward eventually adopting some form of it. South Korea is the first to officially implement such a tax. 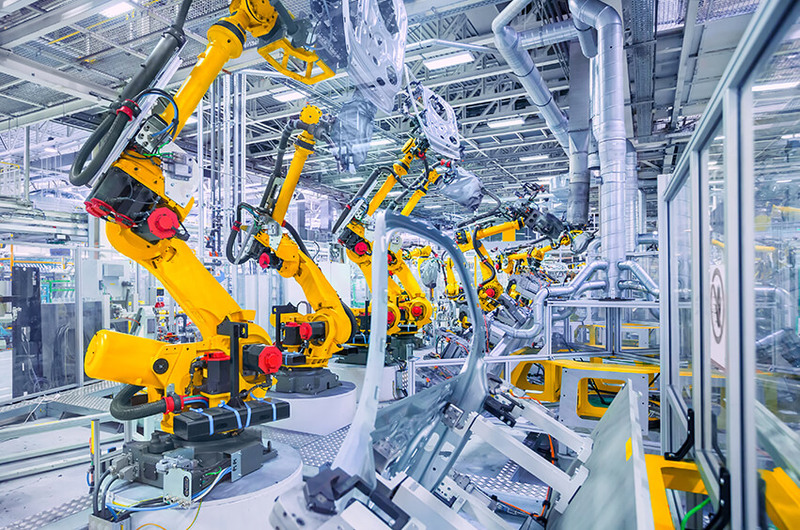 While its version is intended simply to reduce tax incentives for companies that automate their manufacturing processes, it is a clear step toward trying to stem the growth of the robot revolution. That said, South Korea isn’t trying to dissuade companies from using robots and more automated processes; rather, its efforts are intended to level the manufacturing industry equilibrium between tax revenue and improved manufacturing. While the future of this potential tax is uncertain, it’s always good to have an idea of what may happen in the future. The goal of every manufacturer is to increase revenue by improving production efficiency. However, many manufacturers fail to take financial analytics into consideration. For instance, how efficient is your cash use? Are you using applying profitability ratios to help prioritize your inventory and production? It can be useful to look at what these financial ratios are, and some tools that can help you implement measurements to drive greater efficiency. The following financials will be the basis for the examples outlined in this blog. The cash conversion cycle (CCC) measures how long it takes to turn your inventory on hand into cash in hand. Equation: CCC = Days Inventory Outstanding Ratio (DIO) + Days Sales Outstanding Ratio (DSO) – Days Payable Outstanding Ratio (DPO). Let’s first take a closer look at DIO, DSO and DPO. This ratio shows how long a company keeps inventory on average before it is sold in days. A smaller number would indicate fast-moving inventory, whereas a larger number could possibly indicate the existence of excess inventory on hand or obsolete inventory, which may not be fit for sale in the current market. This ratio may vary from one industry to another given the nature and lead time of operations. This ratio shows, on average, the number of days between the sale of goods and when the cash from the sale is available for use. This ratio can be calculated on a customer level as well. A smaller number would indicate that customers that have credit extended to them are quick payers, and therefore great customers. A higher number would indicate slow-paying customers that may turn into delinquent customers. When evaluating this ratio, consider payment terms that have been set up with credit sales. For example, if your company offers a 30-day payment term, 30 days outstanding could be used as an internal benchmark when evaluating. This ratio shows, on average, the number of days between the purchase of goods and when the invoice for those goods is paid. As above, payment terms should be considered when evaluating this ratio, except this time it is the credit terms that are extended to your company. 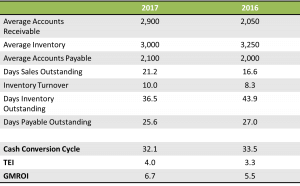 A smaller number as compared to payment terms would indicate that payables are being paid earlier than necessary and therefore negatively affecting cash flow and having lower cash on hand on average. A higher number as compared to payment terms would indicate that it is taking too long to pay creditors. This may hurt relations with creditors and may indicate that discounts for timely payment may be passed up. 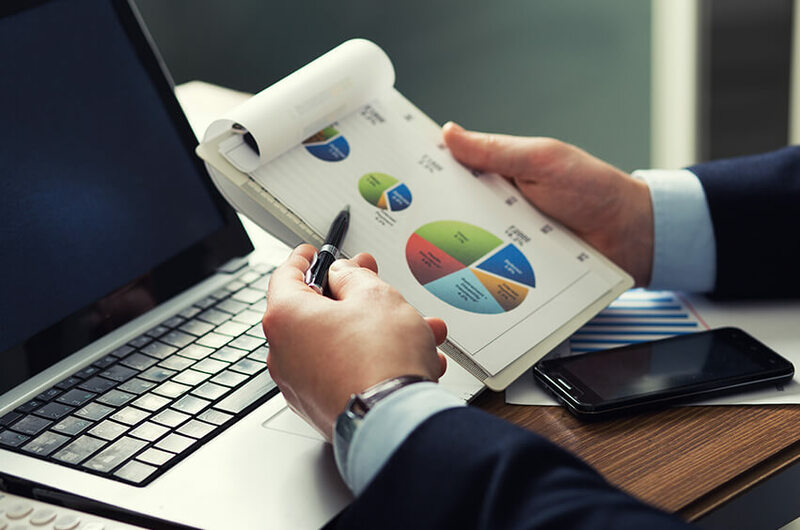 The overall CCC should be used on a period-to-period basis to compare the overall health of cash flows, and to identify trends that may indicate a need for potential financing to optimize cash flow. This ratio, which measures the profitability of inventory items, can be used on a more granular basis, say, by product to determine which products can produce the highest margin the fastest. This ratio could be used to compare products and aid in production priority decisions. This ratio can also be used to measure the profitability of inventory items. It will tell you how much profit you are earning on each dollar of inventory, so a ratio of one would indicate that inventory sales have broken even. Below is a breakdown of the financial ratios addressed above, based on the financials shared at the top of the blog. These measurements can be made and evaluated on a period-to-period basis to identify trends, and can also be used for benchmarking in the industry. 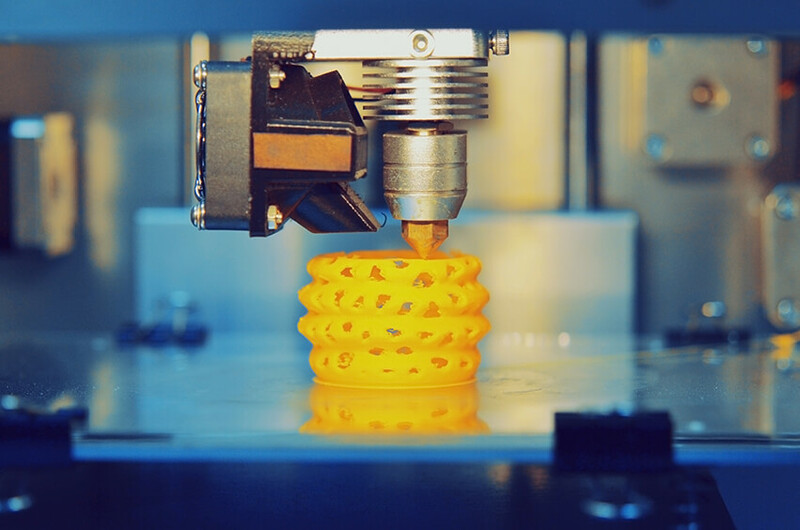 Many businesses and firms think 3D printing is too expensive to integrate into their operations. Yet today, there are many reasonably priced, consumer-grade 3D printers available, and the applications for this additive manufacturing process are seemingly endless. With manufacturing right in the name of “additive manufacturing,” it’s obvious this technology impacts manufacturers; but it also affects international businesses and those in the medical industry (e.g., 3D printed pills, organs, hearing aids). And that’s just for starters. 1. Research and development (R&D) opportunities. As we all know, most manufacturers qualify for R&D tax credits, and implementing 3D printing into the R&D phase of your manufacturing process could produce additional opportunities to leverage this tax credit. Other significant advantages to integrating 3D printing include near-limitless flexibility in product design and development, as well as faster implementation of product improvements. The use of 3D printers in the manufacturing process can drastically reduce the product manufacturing timeframe. This time savings could entice more companies to lean toward on-demand production and minimize inventory storage costs and other related expenses in the process. 3. Elimination of supply chain levels. We already mentioned reduction or elimination of warehouse/storage expenses, but other links in a typical supply chain can be impacted as well. With a 3D printer, all product design, development, prototyping and production can be done at one location. In addition, some supply and delivery costs could be eliminated as well when companies can print their own parts. 4. Impact on transfer pricing. Many companies integrate a vertical supply chain as a way to control costs and increase profits. Reducing supply chain levels will make it critical for companies to reassess their overall structure and their transfer pricing. 5. Value-added taxes/goods and services taxes (VAT/GST) implications. In general, these taxes are levied at each level of a supply chain where value is added. Global VAT rates average 20 percent, so if levels of the supply chain are reduced or eliminated, governments may raise this already high indirect tax to bridge the tax revenue gap. Do you have questions about additive manufacturing, or other manufacturing and distribution issues? Contact us today! Earlier this year, the Financial Accounting Standards Board issued an update that will significantly change the way in which lessees and lessors account for leases. The change, which takes effect in 2020, will require businesses to recognize lease assets and liabilities on the balance sheet and to disclose key information about leasing arrangements. However, for the time being, your manufacturing business will still face the quandary over whether to buy or lease manufacturing equipment. The best place to start is with a calculator to crunch the numbers both ways, as a lease and purchase. Visit Equipment Buy vs. Lease Calculator for a quick and useful resource. Lease payments are often 100 percent tax-deductible as an operational expense. With predictable payments, you can budget accordingly, possibly allowing for your funds to be stretched further. By leasing, you may expand your equipment options since up-front cost is not a factor. You might be willing to take a chance on a new piece of equipment that a lump sum payment might bar you from trying. Your exposure to additional costs can be eliminated because the leasing company generally handles repairs due to normal wear and tear. Though you may “pay more in the long run,” as the numbers often show, when you consider all of the variables involved (repairs if owned), this may not be true. You’ll have no equity and therefore no return on the investment once you are no longer in need of the equipment. The length of the lease may exceed your needs. By depending on the leasing company to handle repairs, disagreements may arise and you may wait longer than what’s comfortable for something that requires immediate attention. It may be that product selection or availability is more limited than what’s offered on the open market. Under these circumstances, you may find yourself settling for something less than ideal. Lease payments create a drag on earnings, which could negatively impact operating success metrics, eg. Earnings Before Interest Taxes and Depreciation (EBITDA). Many points are the flipside of leasing, such as maintenance being handled on your terms. 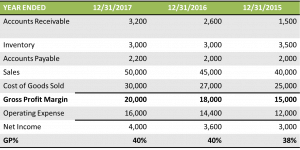 Tax incentives under Section 179 of the IRS Tax Code are larger for purchasing but there are limits. However, if the equipment fails to qualify under the code, you would normally be able to apply a depreciation deduction. For equipment that has a longer life, similar to a car that you believe will run for more than 150,000 miles, why lease? Often times, you will be able to find a financing option that uses the purchased equipment as collateral which can permit a low interest rate. You may find yourself settling for a lower-cost option. If the equipment breaks, you won’t be able to return it, or possibly even sell it. Therefore, pay attention to the warranty to see what it covers and for what length of time. The purchase through a line of credit may eliminate funding options for other necessary expenses. Primary considerations under either method should include the value of tax deductions. When buying, estimate the resale value at various points in time. But also consider the revenue generated by the equipment, its useful shelf life or longevity and the overall cost of use. Knowing how long you intend to use the equipment is a critical factor as well. When leasing, it may be possible to negotiate a purchase option if you intend for long-term use of the equipment. Under this scenario, a portion of your lease payment could be credited toward the purchase price. With hundreds of participants, this survey report contains the expectations and opinions of manufacturing executives in more than 20 states across the county producing a wide variety of products including industrial/machining, transportation/automotive, construction, food and beverage, and other products. 81% of manufacturers expect revenue to increase in 2018. Optimism rates have significantly increased for 2018 markets with manufacturers rating their optimism at 69.3% for regional markets, 69.3% for national markets, and 59.4% for world markets. The top priority for manufacturers in 2018 is “Growing Sales”, with 72% of respondents expecting sales increases through organic growth in domestic markets, and 44% expecting sales to grow through developing new products and services. Labor continues to be a challenge for manufacturers with half of the respondents expecting to increase hiring in 2018. Please click the button below to view the full 2018 Manufacturing Outlook survey results report.